The label is written by hand on a printed form sheet. 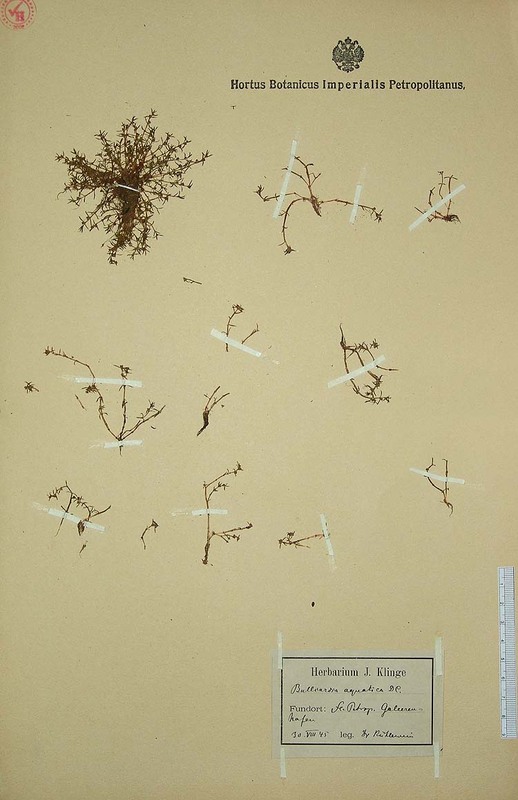 The herbarium sheet has the printed title: "Hortus Botanicus Imperialis Petropolitanus." and the State Emblem of Russian Empire.